Do you have an old auto battery you would like to dispose of? Bring it to us! 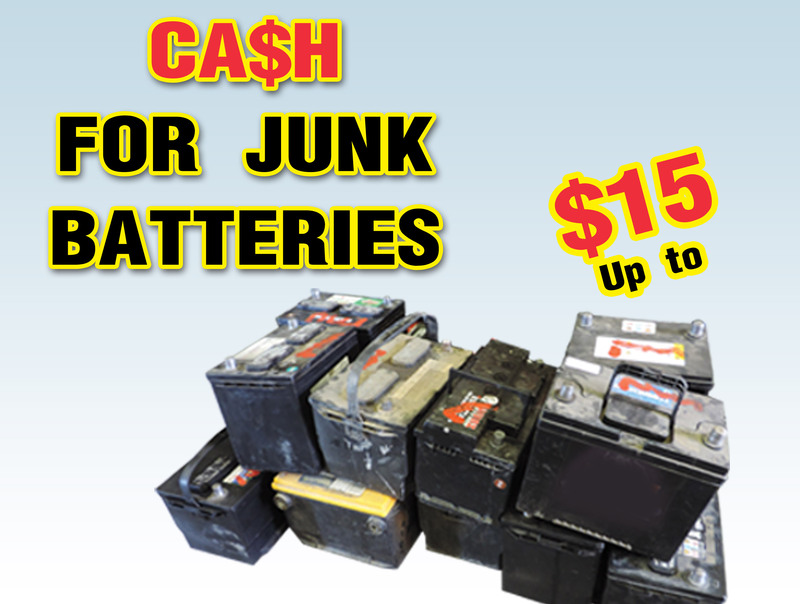 We pay top dollar for your old auto batteries. 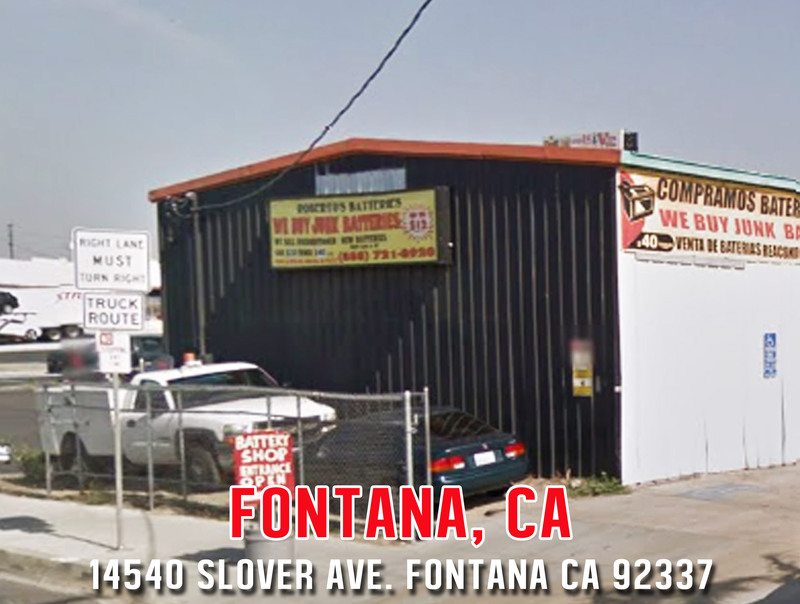 Start your environmental clean-up with local, California Batteries Inc (formerly Roberto’s Batteries), professionals who will dispose your used car batteries safely through recycling and reuse the valuable components. We also offer new batteries starting from $60 and up. 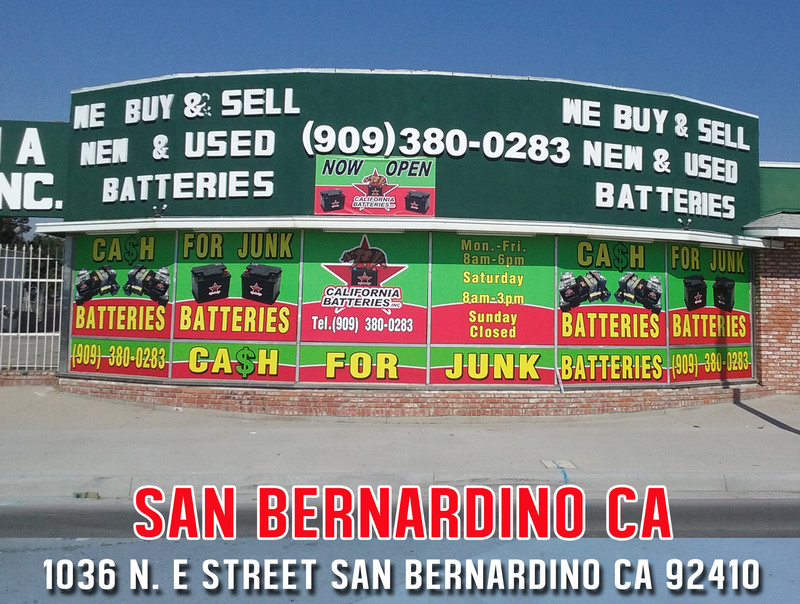 Your One-Stop Buy and Sell Battery Shop. Want a new battery at a cheap price? Perhaps you would like a used battery as good as new? Come to us! 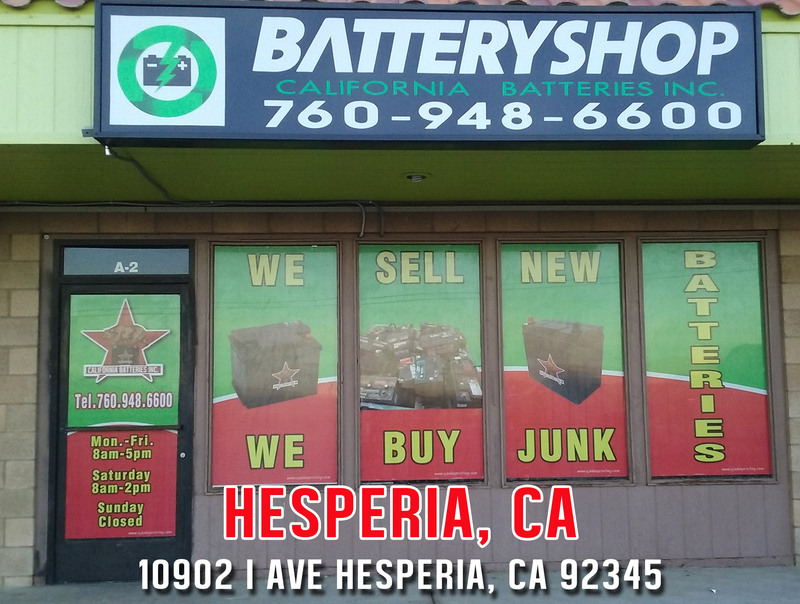 California Batteries has been in the battery business for over 20 years providing good prices and reliable services to residents of Fontana, San Bernardino, Hesperia and Victorville CA. Car batteries can also be recycled, and they can be used for building a new car battery. We sell reconditioned truck batteries for $40 and car batteries for $30. We also offer 5 months warranty on reconditioned batteries. Powered by a combination of proven experience, integrity and heart. California Batteries Inc is the brand that customers prefer. From Starting, Lighting and Ignition to motive and household batteries, we have trusted solution for nearly all your power needs. 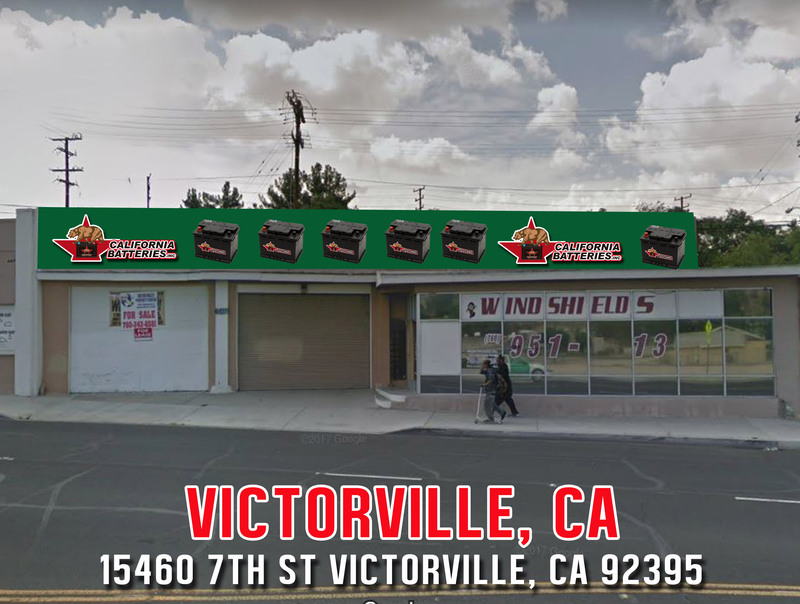 California Batteries Inc has been in the battery business for over 20 years providing good prices and reliable services to residents at Fontana, San Bernardino, Hesperia and Victorville CA. At California Batteries, we take battery recycling seriously. We work to ensure proper handling and recycling of spent lead-acid batteries. The Green Standard is our system of proprietary recycling and battery handling practices designed to meet and exceed federal and state transportation and environmental regulations. When you choose California Batteries, your batteries are handled from start to finish in a closed loop system by Green Standard-certified personnel. These individuals are trained to ensure that batteries are properly and safely transported, stored and packaged, so they can be sent to an approved recycling facility. At California Batteries, we believe that our purpose and values make us who we are. Together, they create a unique fingerprint that identifies and separates us from other companies. With our values as a framework, we believe that profits will never drive our success the way our purpose can.